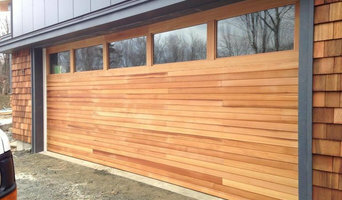 North Country Garage Doors Inc.
North Country Garage Doors is a garage door specialist for residential, commercial, agricultural and industrial applications, proudly serving the North Country area. We would love for you to visit our showroom at 2331 Military Turnpike. There, our team can give you personalized advice in purchasing a garage door, an installation that meets the highest industry standards, and unequalled after-sales service thanks to our maintenance and repair program. Our full range of products also includes electric garage door openers as well as many other accessories to go with your garage door. Think of us when it comes to buying, installing or repairing any type of garage door. We are a proud member of the Adirondack Builders Association (ABA). We have more than five employees ready to give you the fastest service in the industry. Our showroom is located at 2331 Military Turnpike in West Chazy and is open Monday to Friday from 8:00 AM to 4:30 PM and Saturday by appointment. We invite the people from Plattsburgh, Tupper Lake and Saranac Lake to come and visit us, and on behalf of our entire team, We thank you for considering our company. With over 67 years of experience in the garage door business, the Overhead Door Company of Burlington strives to provide our customers with high quality products, reliable service, at competitive prices. We are committed to providing the highest level of professionalism, service response, and quality workmanship. We provide a professional approach to constructing exceptional quality projects which meet any budget and scheduling goals. The Big Door Company was founded in 2011. We're a startup by a couple of web designers, code geeks, industry professionals, entreprenuers, and all around average folks. Our home, Burlington, Vermont, is synonymous with creativity, innovation, and down right hardwork. Everyday we roll our sleeves up and put our pencils to the paper to improve the products and services we offer you. 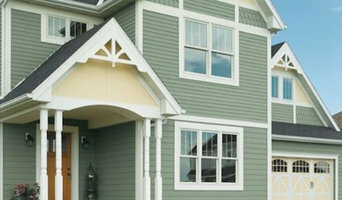 With headquarters in Georgia, Vermont; Champlain Door Company is a family-owned and operated residential and commercial garage door company founded by Mike Bechard in 1990. Today the company is co-owned by Mike and his son, Phil Bechard. Mike’s daughter, Jessica Bechard, is the office manager, so it is truly a family-run business. When it comes to customer service, we believe in treating all of our valued customers like family. We are a locally owned and operated distributor of Overhead Door Corporation products. We have been in business since 1953 and have been operating at the current location since 1963. ¿Qué hacen las empresas de puertas en Burlington, VT? ¿Por qué contratar a diseñadores de puertas en Burlington, VT? Encuentra empresas de puertas en Burlington, VT. Mejora los resultados de la búsqueda en la sección “Profesionales” incluyendo el nombre de tu ciudad o comunidad autónoma. También puedes consultar las fotos de casas de los profesionales de Burlington, VT para encontrar expertos que hayan trabajado en proyectos similares al tuyo.